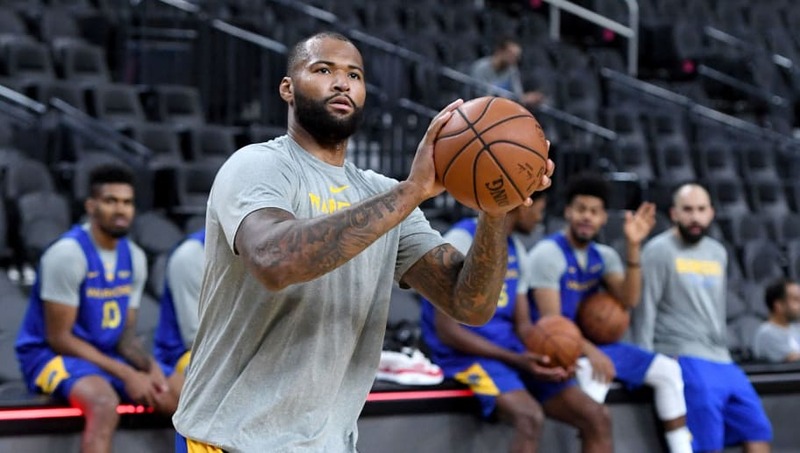 ​With all the All-Stars on the Golden State Warriors, it can sometimes be easy to forget that DeMarcus Cousins is on the team. Still recovering from an Achilles tear, the star center still hasn't made his Warriors debut yet. However, Golden State's new injury update on Cousins suggests that he is ready to speed up his rehab. ​​For his career, ​Cousins is averaging 21.5 points and 11.0 rebounds per game. Last season, he averaged 25.2 points and 12.9 rebounds per game before being sidelined by his Achilles injury. Cousins will no doubt make the ​Warriors even more feared than they already were. Cousins' imminent return is just bad news for the rest of the league. With Steph Curry, Kevin Durant, Klay Thompson and Draymond Green already part of the lineup, the Warriors can have a starting five consisting of five All-Stars. This has been a big week for Cousins, who has now also officially signed with Puma. ​​Cousins shouldn't rush his return, as the Warriors will do more than fine without him. But when he is back, Golden State will be even more of a championship favorite than it already is.